We have a list of cards for you we'll be changing in our patch next week. 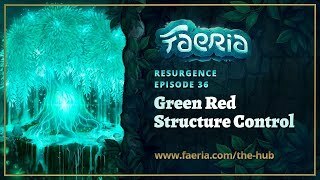 It must be Faeria Friday. Our next patch is scheduled for early next week, which will include quality of life improvements, UI improvements, and a set of balance changes. Buffs and nerfs are mixed together in that list, in alphabetical order. Which do you think will be buffed or nerfed? Will we nerf Three Wishes again? Let us know your speculations in our official Discord. In addition to this, we want to mention again that we do not consider this to be 'all that is needed,' check a box, and move on. The state of the game is something we continually monitor, and if we think we may have missed an important change or want to mix things up even more, we will certainly do so. I will say we had a few spicy changes that didn't quite make it into this patch, as we wanted to make sure we got them right. We'll see if we can work them in soon after a bit more thought. The current ranked and Pandora seasons are resetting on Monday, February 4th at 12:00 (Noon) CET. Here are the cardbacks you can earn! Reach God Rank before Monday to earn them both. As always, placing high on the Ranked ladder can earn you FWC points for the Seasonal Cup. Congratulations to this weekend's Aurora Open top finishers!